Why should coloring book fans have all the fun? Let your creativity shine without limits! 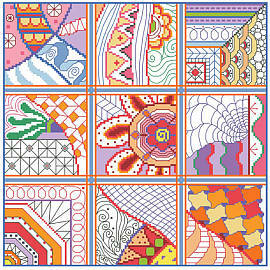 This sampler brings you 9 whimsical designs to explore and enjoy. 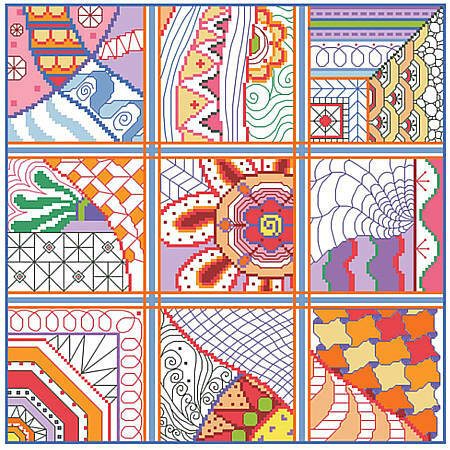 Stitch by stitch, color by color, tension and worries fade away as you transform your doodles into a beautiful keepsake art piece. Collect all six!